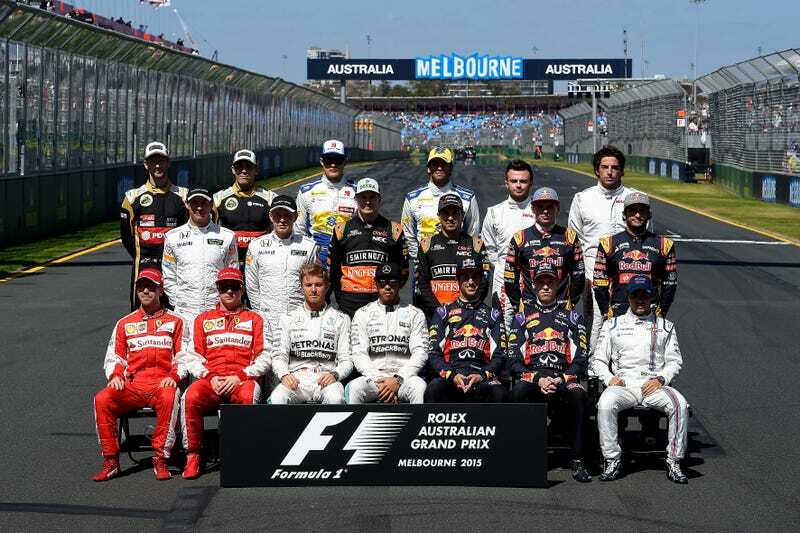 Before any other significant official driver announcements are made by the smaller teams, the hottest seats have to be allocated among the best drivers on the planet. The king’s seat this year is the second Ferrari, and the contract could already have been signed. The Scuderia is said to already have taken precautions to replace Kimi Räikkönen, who now is delivering disappointing performances against a Ferrari teammate for one and a half seasons, with fellow Finn Valtteri Bottas. Sources are unclear whether Bottas has a valid contract with Williams for 2016, as some claim he does, yet articles from 2014 say that he received a 2-year plus 1 year option contract back when he made his debut in 2013 along Pastor Maldonado. The duration is crucial for Williams who literally lost a ton of money last year - Ferrari is expected to pay as much as 12 million Euros for buying out Valtteri and securing his services for 2016, money that would come in handy to bridge the monetary gap that the team is opening right now until they can improve their deal with Bernie or find powerful sponsors. Are there other alternatives? Hülkenberg is one other name associated with Ferrari, but a combination of two Germans at the Scuderia seems unlikely. Ricciardo expressed interest and fascination with the red cars publicly and this year seemed somewhat frustrated at the direction Red Bull has taken. But would Vettel be happy with the only guy to beat him in F1 as his partner, and how would they get him out of the usually tight RB contracts? The only real fact we have is that something has to change for Ferrari: if they want to fight Mercedes, they need to get a pairing of drivers that pushes each other and puts pressure on Mercedes whenever they aren’t utterly dominating. The latter has been the job of Vettel this year, while Kimi usually was securing a off-podium finish. Far from podiums and pressuring the mighty silver arrows was Jenson Button. McLaren-Honda’s pace and reliability is nothing to write home about and leaves me searching my dictionary for adequate adjectives. Jenson, as part of his new supposed 2-year contract, had to accept a much lower salary than before. That must feel really nice when Alonso is receiving unbelievable amounts of compensation for joining the team. Is Button willing to do another year of disappointing results? An option for him that is being thrown back and forth in the media is joining Williams. I see two problems here: a) Williams would have the oldest driver pairing on the grid, as Button would be 36 and Massa nearly 35 come Melbourne. And b), while not payed as much as Alonso, Button won’t be driving for free. How are they going to afford his salary if there already is a gaping hole in the budget? On the other hand, a popular driver like Jenson could help with finding sponsors or making existing ones pay more. Other options for Claire and Frank Williams are plentiful: Alex Lynn could be the next young driver to move into F1, and the success story that is Bottas’ career proves that taking the risk is sometimes worth it. He already is their development driver and does okay in GP2. Then there’s Nico Hülkenberg. After Le Mans, he became the paddock’s darling again, and rightfully so. Except for F1, he won pretty much everywhere. His stint with Williams in 2010 didn’t end to well as the team fired him after his rookie year in favor of Pastor Maldonado, and Nico had to sit on the bench for 2011, becoming the third driver at Force India. A deal with Hülk could complete their relation, and he’s neither expensive nor untalented. McLaren has a luxury issue: their talent scouting program worked brilliantly in the past. Right now, Kevin Magnussen and Stoffel Vandoorne are looking to step into Lewis Hamilton’s footpaths. K-Mag did okay in 2014 against Jenson Button, but Stoffel is the real raw diamond here: after finishing second in GP2 overall in his debut year, he this year is utterly dominating GP2 and set a consecutive pole position record. It’s mighty impressive and should mean that he’s the first driver to be called if there is a vacant seat that can’t be filled with the established pilots. Rumour has it that Stoffel is set to replace Button in 2016, also firing up the Button/Williams theory. I could see that happening, unless another team lures Vandoorne out of his McLaren contract and gives him a seat. Here’s an overview of what I think is the most likely scenario, feel free to add your own theories and speculations in the comments. Picture Credit: Reddit, Reddit, McLaren, Porsche, Stoffel Vandoorne.